The nation’s soda industry wants Washington state voters to send their local governments a message this November: When looking to boost your budgets with new taxes, stay away from soda. Initiative 1634 would ban any new local taxes on soda and all groceries, and the “vote yes” campaign emphasizes keeping government’s mitts off everything in the grocery cart. But the soda companies are the prime backers of the campaign, and sugary drinks are the only items that have caught the eyes of local governments. Seattle instituted a tax on soda that began this year, and New York, Philadelphia and several California cities also have a soda tax. The Spokane City Council briefly – and not very seriously, according to council members – looked at a soda tax last year as a way to hire more police officers, but dropped the idea in the face of vocal opposition. The $13 million vote yes campaign has raised its money chiefly from the soda industry. Prime combatants in the cola wars, Coke and Pepsi, were willing to call a truce for the campaign and so far contributed a total of nearly $11 million. The company that owns Dr Pepper is in for nearly $2 million. The opposition campaign, the Healthy Kids Coalition, likens the spending by the beverage industry to previous efforts by the tobacco industry to protect profits by fighting warnings and taxes on cigarettes. But the Yes to Affordable Groceries campaign has recruited an army of local restaurateurs and store owners, farm groups and some labor unions to make the case for the initiative, and against tax increases. Dennis Kelly, owner of five Spokane-area Zip’s restaurants, joined the yes campaign because he’s become more aware of local governments’ efforts to raise taxes and believes taxes on food hit people the hardest. Jeff Philipps, president and chief executive officer of Rosauers, said food taxes are regressive and there’s also a bit of “social engineering” in local governments deciding what people shouldn’t eat and levying a tax to reduce consumption. Suppose the city of Spokane Valley decided to tax soda and the city of Spokane taxed foods with high carbohydrates, Philipps said. Stores in each city would have to set up special systems to track different kinds of sales and calculate the taxes to be sent in. “It becomes a nightmare trying to manage this through our system,” he said. Spokane City Councilwoman Kate Burke agrees that a soda tax hits hardest on low-income people who can least afford it and already face a regressive tax system. But she’s part of the opposition campaign, arguing the state shouldn’t limit the options of local governments that are better at tailoring taxes to their communities. She considers ads warning of broad grocery taxes “disingenuous” because she’s unaware of any effort for a local government to tax any other food product. When asked for examples of efforts by local governments to tax any grocery items other than soda or beverages, the staff of the Yes to Affordable Groceries campaign could only point to California’s efforts to regulate methane produced by cattle, Washington’s excise tax on commercial fish and unsuccessful efforts in New Mexico to reinstate a sales tax on all food. Business owners who have joined the campaign for the initiative are concerned about the way the Seattle tax is structured, Melissa Schwartz, a campaign spokeswoman, said. I-1634 is prospective, so it wouldn’t repeal the Seattle tax of 1.75 cents per ounce on sugary drinks, whether purchased at supermarkets, convenience stores or restaurants. The tax – which exempts diet drinks, because it was proposed as a way to fight obesity, and most flavored espresso drinks because they contain mostly milk – raised more than $10 million in its first six months. But the initiative would drive a stake through any thoughts other city or county governments might have of following suit. The initiative also wouldn’t restrict the Legislature from passing a statewide tax. But lawmakers with a sense of history would be wary of such a move because voters tend to protect their grocery carts from taxes. Groceries were exempted from sales tax by an initiative in 1977, and the temporary re-imposition of the sales tax on food in 1982 to stave off a state budget crisis led to Republicans losing control of the Legislature. 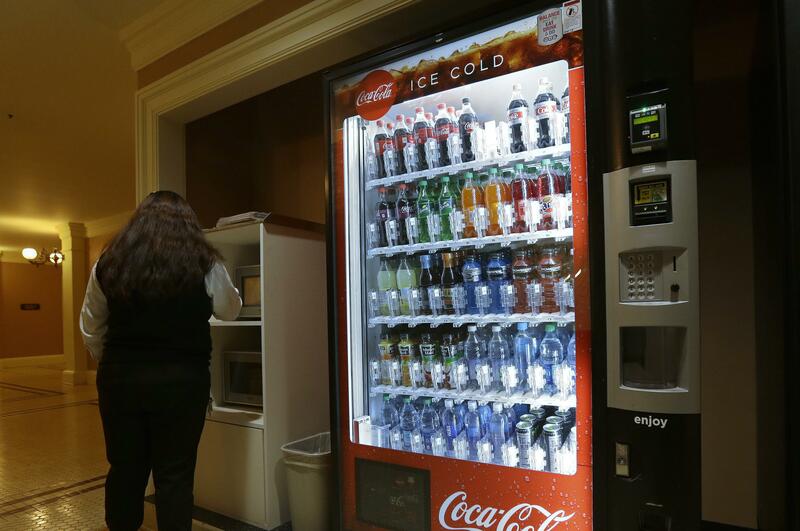 In 2010, voters killed temporary taxes on candy, bottled water and carbonated beverages the Legislature had passed to ease another recessionary budget problem.